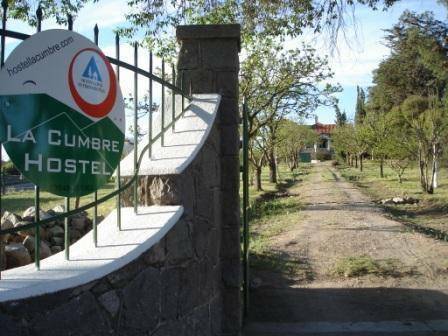 Our Hostel is located just three blocks from the bus terminal and the centre of La Cumbre, making it very easy to find us. And if you reserve in advance we can pick you up and bring you to the hostel at NO charge!! Our facilities is a traditional English style Chalet called "El Tomillo" and we offer and excellent place to rest and enjoy the mountains. We have dorms and rooms with private bathrooms, swiming pool and very spaceous common areas for you to rest like our gardens. Included in our rates are bed sheets, towels and Breakfast. We also have free broad band internet, adventure services and turist information. 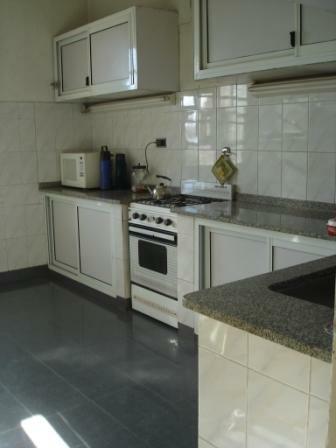 You can choose from a variaty of activities according to your expectations. From adventure to just recreational activities. La Cumbre offers you the chance to spend a few day enjoying the sun and the sierras. 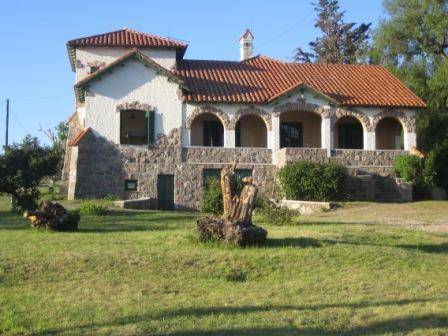 Located at 98 km from the city of Cordoba and 807 km from Buenos Aires, is the Village of La Cumbre at 3. 400 feet above sea level in the Punilla Valley. Surrounded by the Small Sierras in the east and the Cunipito Sierrras on the west, they offer us incredible sight seens of the Cordoba Sierras. If you add this to our own microclimate, makes the ideal place to do adventure activities our just hang around and spend a pleasant stay. If you choose to rest, you can enjoy the sun in our swiming pool and solarium or just hang around our 5000 mt. park with a great view of the mountain. 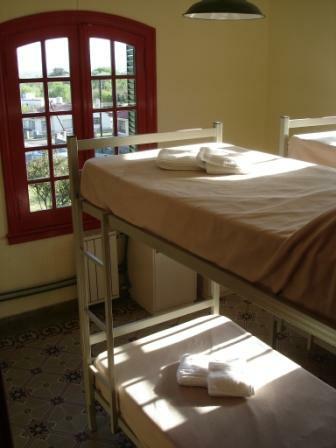 Our rooms are met with Hostelling International Standards as we belong to such association. Our beds have brand new linen and mattresses, for your pleasant sleep and individual Lockers for your security. Our hostel is located in a small mountain town in the Cordoba Sierras, a traditional english arquitecture houses from the forties. Surrounded by the Small Sierras in the east and the Cunipito Sierrras on the west, they offer us incredible sight seen of the Sierras. In case of no-shows or cancellation within the 48hs, the first night will be debited from your credit card as a liability for our hostel. From the bus Terminal in the City of Cordoba, there are several local bus lines that can take you to La Cumbre, and they have a variety of hourly services through out the whole day. The bus ride lasts about two hours, but it has a very nice scenery. Transierras (Mini Vans) Highly recomendable!! Departuring from the Bus Terminal of Retiro in Buenos Aires, you can choose from several long distance bus lines and the type of on board services that will take you directly to La Cumbre. First they will pass through Cordoba City then they go up into the sierras. There are many bus services during the day, the bus ride lasts about twelve hours. We recommend over night travelling. El Dorado (Suite Service) Recomendable!! 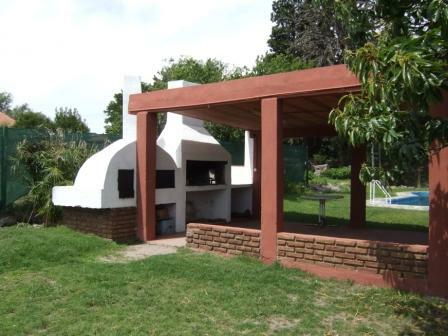 You can come to La Cumbre via Cordoba city or directly from Buenos Aires or Mendoza by Bus only.